1 inch wood blinds are perfect for windows with smaller window frame depths or door mount blinds. 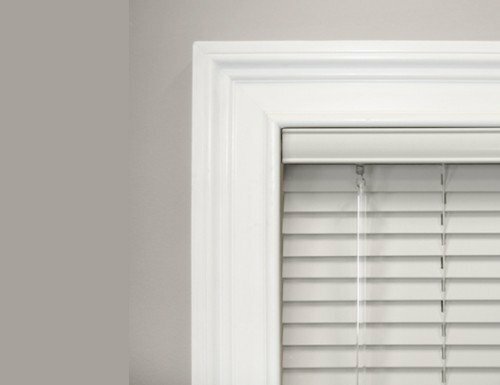 Each of our 1 inch wood blinds are custom made from the highest quality components and real basswood. Blinds Chalet stands behind all of our custom 1 inch wood blinds with a lifetime warranty so you can feel confident buying from us. The color selection on our 1 inch wood blinds match our Signature 2 inch and 2 1/2 inch wood blinds. Our 1 inch wood blinds only offer a clear acrylic wand tilt control and cord lift control. W: 8" 9" 10" 11" 12" 13" 14" 15" 16" 17" 18" 19" 20" 21" 22" 23" 24" 25" 26" 27" 28" 29" 30" 31" 32" 33" 34" 35" 36" 37" 38" 39" 40" 41" 42" 43" 44" 45" 46" 47" 48" 49" 50" 51" 52" 53" 54" 55" 56" 57" 58" 59" 60" 61" 62" 63" 64" 65" 66" 67" 68" 69" 70" 71" 72" 73" 74" 75" 76" 77" 78" 79" 80" 81" 82" 83" 84" 85" 86" 87" 88" 89" 90" 91" 92" 93" 94" 95" 96" 0/0"1/8"1/4"3/8"1/2"5/8"3/4"7/8" H: 12" 13" 14" 15" 16" 17" 18" 19" 20" 21" 22" 23" 24" 25" 26" 27" 28" 29" 30" 31" 32" 33" 34" 35" 36" 37" 38" 39" 40" 41" 42" 43" 44" 45" 46" 47" 48" 49" 50" 51" 52" 53" 54" 55" 56" 57" 58" 59" 60" 61" 62" 63" 64" 65" 66" 67" 68" 69" 70" 71" 72" 73" 74" 75" 76" 77" 78" 79" 80" 81" 82" 83" 84" 85" 86" 87" 88" 89" 90" 91" 92" 93" 94" 95" 96" 97" 98" 99" 100" 101" 102" 103" 104" 105" 106" 107" 108" 0/0"1/8"1/4"3/8"1/2"5/8"3/4"7/8"
They are amazing. Fit perfectly. I called to ask a question before ordering the blinds and the customer service was great and helped get me exactly what I needed. The blinds were perfect. They were exactly as described and excellent quality. They were easy to install and fit perfectly. I love my new wood blinds. I love my new wood blinds. I used to have aluminum blinds on these two long windows next to our front door. The wood really looks great! Came exactly as ordered. Love the blinds and the quality. I ordered 4 blinds and I am very happy with the order. I ordered 4 blinds and I am very happy with the order. They fit perfect. I received two shipments and they were all packaged with heavy cardboard and wrap. I would order from this company again. Not to mention the price was right. The tilt wand is used to open and close the blind slats. This option allows you to select the position of the tilt control on the blinds. Our 1" wood blinds come standard with a wand tilt only.